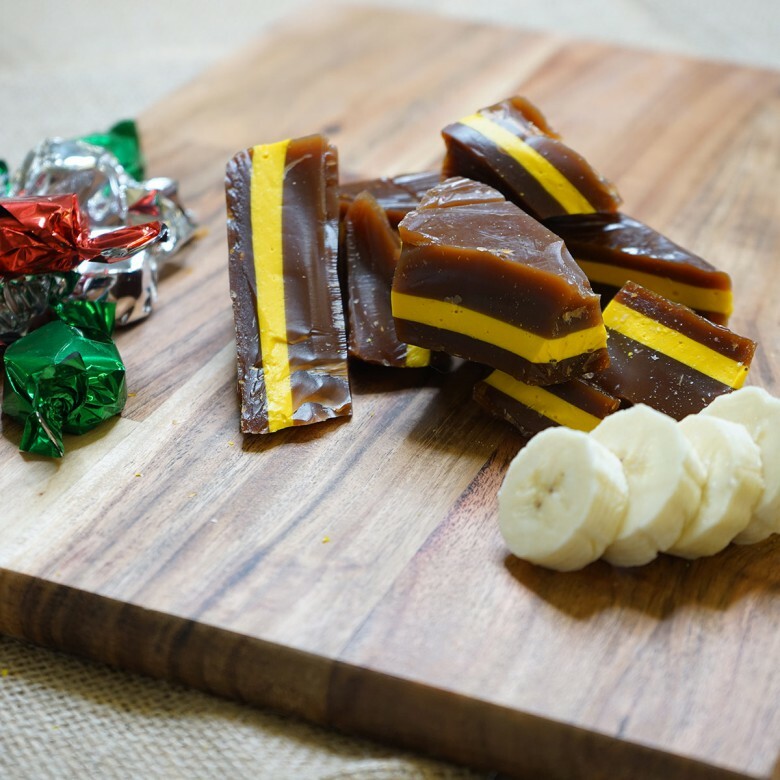 Banana Split Toffee – One of Johnson's proudest creations. We are still producing this confectionery masterpiece to its original recipe, with a creamy banana chewy centre sandwiched between two layers of our traditional plain cream toffee. Relive your childhood memories with this unique flavour. Ingredients list: sugar, MILK, glucose syrup, palm oil, butter, salt, lecithin, flavouring, icing sugar, Wheat Starch, Acidity regulators (Calcium Lactate, Tartaric acid, Cream of Tartar, Lactic Acid), Dextrose, stabiliser (Guar Gum). Contains EGG and CEREAL containing GLUTEN. Banana split Toffee is available in two sizes; a 150 gram bag or a 450 gram box.